Vasse Felix was the first vineyard and winery to be established in Western Australia?s Margaret River region. Established in 1967 by Dr Tom Cullity, it is situated in the Willyabrup sub region where ancient soils and cooling Southern and Indian Ocean breezes provide ideal conditions for fine wine production. The Vasse Felix winemaking team shares a common goal in crafting wines of exceptional quality from unique vineyard sites. Under the direction of Chief Winemaker Virginia Willcock, the objective remains the same today as it did 40 years ago. A precise understanding of local viticulture and environment is coupled with a hands on winemaking approach. Vasse Felix produces a range of red, white and sparkling wines with definitive varietal expression and a sense of place. The Vasse Felix style shows concentration and complexity while retaining signature elegance and finesse. It is a testament to winemaking and viticultural dedication and attention to detail throughout the year.Lisa Perrotti-Brown, The Wine Advocate - "If you've never before experienced Vasse Felix, it's perhaps not too surprising. They only export about 7% of their 150,000 cases produced. 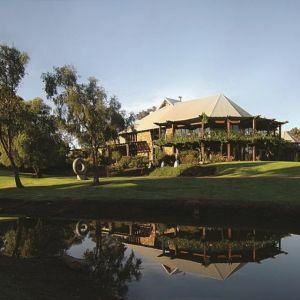 Though one of the pioneers of the region and home to Western Australia's oldest vineyard planted in 1967 by Dr. Tom Cullity, today this estate remains one of Australia's treasures. Amongst the finest wineries in this area, the wines are definitely worth the hunt. Virginia Willcock has been at the winemaking helm here for the last four years and has quickly developed a sensitivity and skill for handling the fruit off this property's very special vineyards. Look out for the Sauvignon Semillon, Chardonnay and Cabernet Merlot in the Australian Wine Values report as these little gems are absolute bargains. Meanwhile, at the top of the range there's not a duff wine in the lot."